CAPE CANAVERAL, FL — The telecommunications giant SES is boldly going where no company has gone before by making history in inking a deal today, Aug. 30, to fly the expensive SES-10 commercial satellite on the first ever launch of a ‘Flight-Proven’ SpaceX booster – that’s been used and recovered. Luxembourg-based SES and Hawthrone, CA-based SpaceX today jointly announced the agreement to “launch SES-10 on a flight-proven Falcon 9 orbital rocket booster” before the end of this year. “The satellite, which will be in a geostationary orbit and expand SES’s capabilities across Latin America, is scheduled for launch in Q4 2016. SES-10 will be the first-ever satellite to launch on a SpaceX flight-proven rocket booster,” according to a joint statement. That first launch of a flight-proven Falcon 9 first stage will use the CRS-8 booster that delivered a SpaceX Dragon to the International Space Station in April 2016. The reflight could happen as soon as October 2016. The deal marks a major milestone and turning point in SpaceX CEO and billionaire founder Elon Musk’s long sought endeavor to turn the science fictionesque quest of rocket reusability into the scientific fact of reality. “Thanks for the longstanding faith in SpaceX,” tweeted SpaceX CEO Elon Musk after today’s joint SES/SpaceX announcement. Over just the past 8 months, SpaceX has successfully recovered 6 of the firms Falcon 9 first stage boosters intact – by land and by sea since December 2015 – in hopes of recycling and reusing them with new payloads from paying customers daring enough to take the risk of stepping into the unknown! SES is that daring company and has repeatedly shown faith in SpaceX. They were the first commercial satellite operator to launch with SpaceX with SES-8 back in October 2013. Earlier this year the firm also launched SES-9 on the recently upgraded full thrust version of Falcon 9 in March 2016. “Having been the first commercial satellite operator to launch with SpaceX back in 2013, we are excited to once again be the first customer to launch on SpaceX’s first ever mission using a flight-proven rocket. We believe reusable rockets will open up a new era of spaceflight, and make access to space more efficient in terms of cost and manifest management,” said Martin Halliwell, Chief Technology Officer at SES, in the statement. But the company first has to prove that the used vehicle can survive the extreme and unforgiving stresses of the violent spaceflight environment before they can relaunch it. So they have been carefully inspecting it for structural integrity, checking all the booster systems, plumbing, avionics, etc and retesting the first stage Merlin 1D engines. Multiple full duration hot fire tests of the fully integrated booster have been conducted at the SpaceX test facility in McGregor, Texas as part of long life endurance testing. This includes igniting all nine used first stage Merlin 1D engines housed at the base of a landed rocket for approximately three minutes. 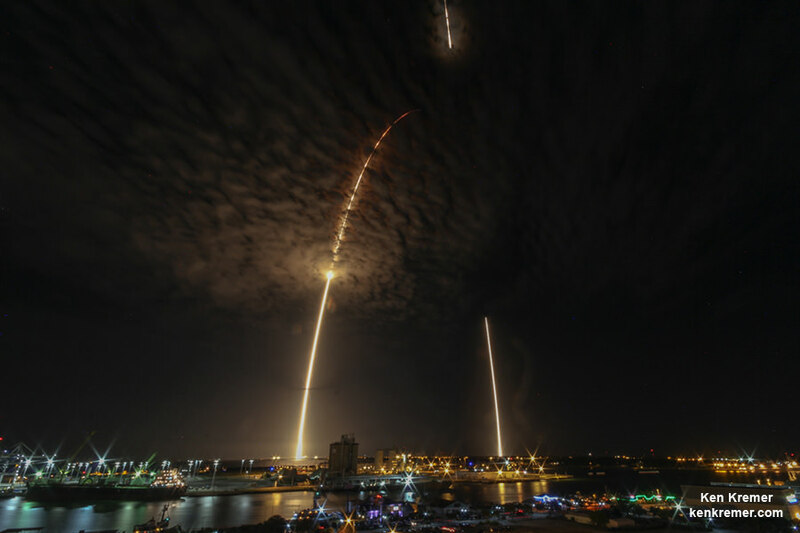 For the SES-10 launch, SpaceX plans to use the Falcon 9 booster that landed on an ocean going drone ship from NASA’s CRS-8 space station mission launched in April 2016, said Hans Koenigsmann, SpaceX vice president of Flight Reliability, to reporters recently at the Kennedy Space Center during NASA’s CRS-9 cargo launch to the ISS. SpaceX has derived many lessons learned on how to maximize the chances for a successful rocket recovery, Koenigsmann explained to Universe Today at KSC when I asked for some insight. “We learned a lot … from the landings,” Hans Koenigsmann, SpaceX vice president of Flight Reliability, told Universe Today during the media briefings for the SpaceX CRS-9 space station cargo resupply launch on July 18. The SpaceX Falcon 9 first stage is outfitted with four landing legs at the base and four grid fins at the top to conduct the landing attempts. “In general I think the landing concept with the legs, and the number of burns and the way we perform those seems to work OK,” Koenigsmann told me. “Re-launching a rocket that has already delivered spacecraft to orbit is an important milestone on the path to complete and rapid reusability,” said Gwynne Shotwell, President and Chief Operating Officer of SpaceX. How much money will SES save by using a spent, recycled first stage Falcon 9 booster? SpaceX says the price of a completely new Falcon 9 booster is approximately $60 million. Shotwell has said SpaceX will reduce the cost about 30%. So SES might be saving around $20 million – but there are no published numbers regarding this particular launch contract. 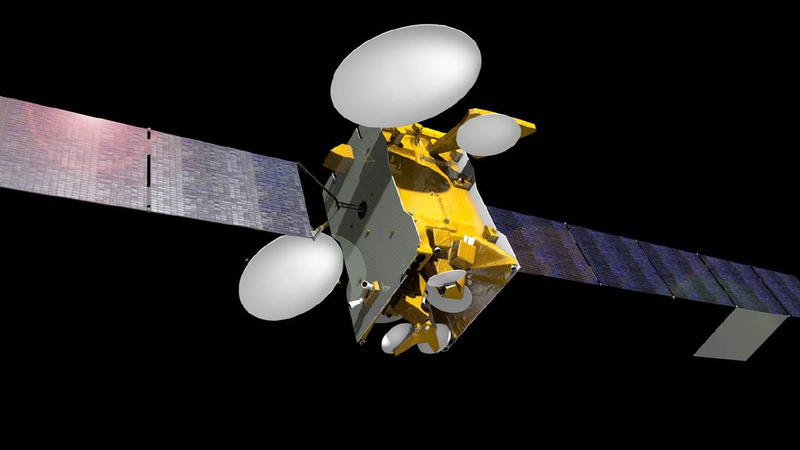 SES-10 will be the first SES satellite wholly dedicated to Latin America. “The satellite will provide coverage over Mexico, serve the Spanish speaking South America in one single beam, and cover Brazil with the ability to support off-shore oil and gas exploration,” according to SES. It is equipped with a Ku-band payload of 55 36MHz transponder equivalents, of which 27 are incremental. It will be stationed at 67 degrees West. The most recent SpaceX Falcon 9 booster to be recovered followed the dramatic overnight launch of the Japanese JCSAT-16 telecom satellite on Aug. 14. 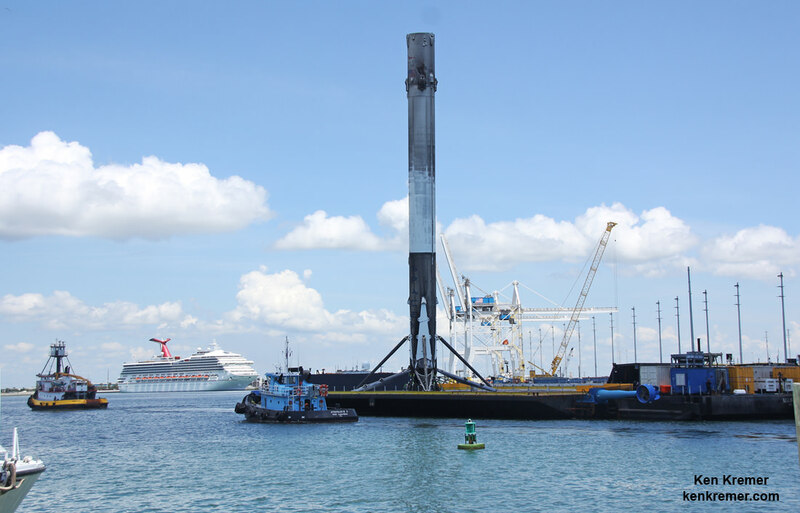 It was towed back into port on atop the diminutive OCISLY ocean landing platform that measures only about 170 ft × 300 ft (52 m × 91 m). SpaceX formally dubs it an ‘Autonomous Spaceport Drone Ship’ or ASDS. 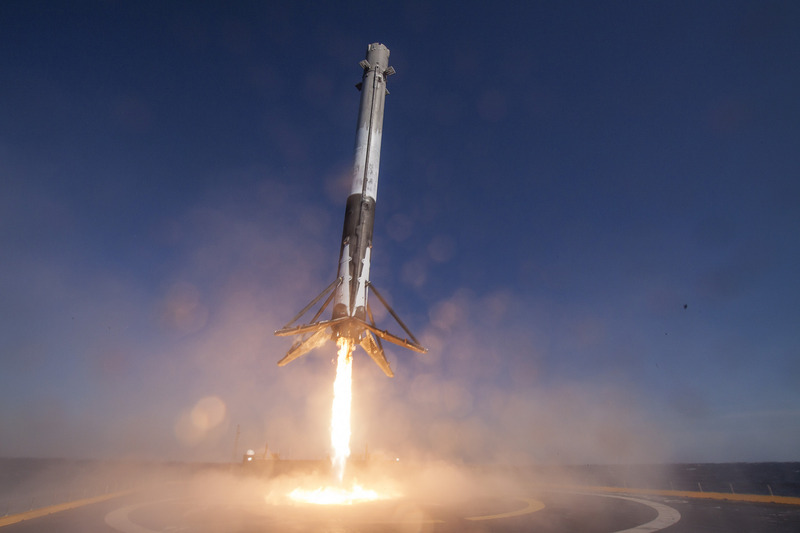 The 6 successful Falcon upright first stage landings are part of a continuing series of SpaceX technological marvels/miracles rocking the space industry to its core. 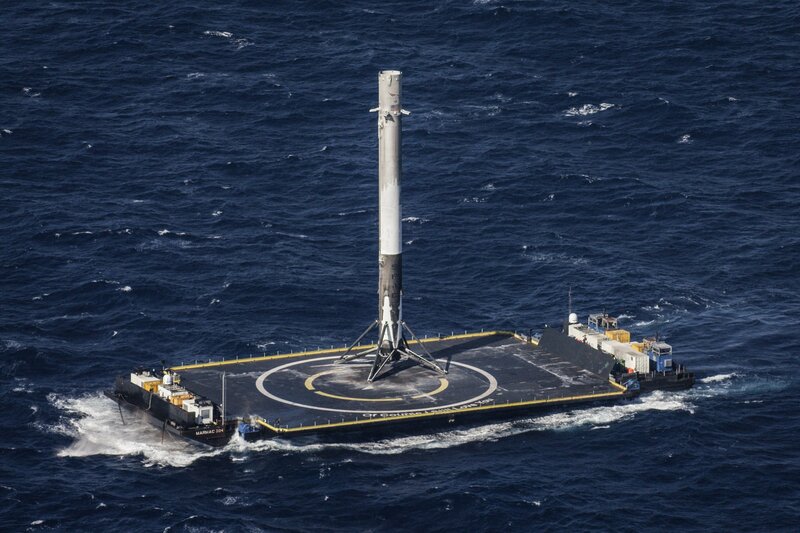 SpaceX had already successfully recovered first stages three times in a row at sea earlier this year on the ocean going drone ship barge using the company’s OCISLY Autonomous Spaceport Drone Ship (ASDS) on April 8, May 6 and May 27, prior to JCSAT-16 on Aug. 14. Two land landings back at Cape Canaveral Landing Zone-1 were accomplished on Dec. 21, 2015 and July 18, 2016. ‘Flight-Proven’ Booster” Is that another way to say used and I wonder how much the insurance on that satellite will cost. And the ink on the contract didn’t even have enough time to properly dry before the “catastrophic abort” on the launch pad yesterday morning. I wonder if the flight is still going to happen with a commercial payload? SpaceX had just really started recovering fully from the launch failure last year, and this one was a static test. I truly hope the cause turns out not to be poor engineering or procedures on SpaceX’s behalf. “To boldly go” is a split infinitive that has been soundly condemned by myriad English teachers throughout our land and in spite of its use by Gene Roddenberry. “To go boldly” is the correct phrase, and one I would have expected from you. Maybe next time?